A union petition calling on offshore operators not to reintroduce Super Puma 225 and L2 helicopters back into service has been launched. It follows a UK Civil Aviation Authority (CAA) decision to lift the ban on the aircraft if operators met certain safety conditions. They were grounded following a fatal crash off Norway in 2016. Unite the union, regional officer, Tommy Campbell said: “Our members are telling us that they have no confidence in the safety of these airframes and neither do their families. Offshore workers deserve to return back home safe to loved ones from working in the North Sea. 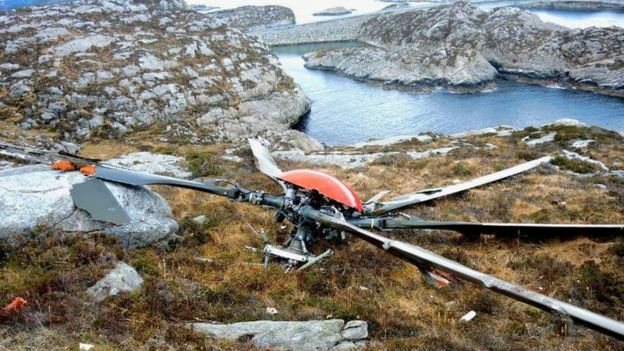 Unite recently launched a petition which calls for a halt to the reintroduction of the Airbus Superpuma model into service and the permanent cessation of commercial operations in the UKCS until the root cause of the gearbox problem is found and a full investigation is complete. In just over a week the petition has received around 1800 signatures. The crash in April last year killed 13 people, including Iain Stewart from Laurencekirk, Aberdeenshire. The Super Puma 225 came down near the island of Turoey, near Bergen, while it was returning from an oil field. A report in April into the crash said there was no explanation as to why a detection system did not spot signs of damage to the gearbox. Offshore Health & Safety is no accident support Unites Back Home Safe campaign 2017 and sign the petition and share with your friends and family raise helicopter safety with your MP or MSP and get involved in the campaign. Join the Unite, the offshore union today!